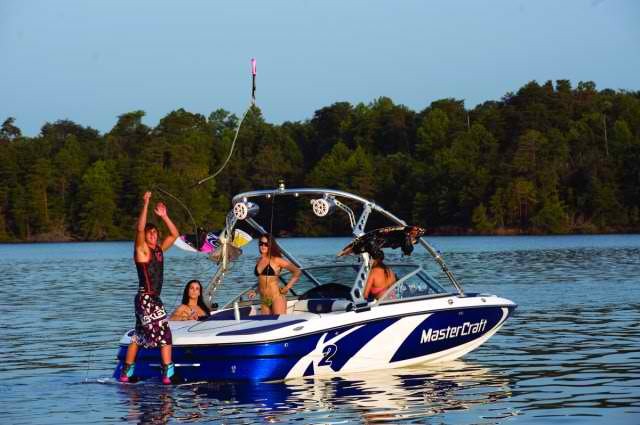 Information and visitors source for Mayfield lake boat rentals, jet skis, water sports, and lake tours services which ranks as one of Washington's premier recreational lakes. Located in the foothills of the Cascades, Mayfield is a 2,200 acre reservoir formed by the damming of the Cowlitz river. The reservoir is fed primarily by the Cowlitz, the Tilton, and Winston creek. Come and experience water sports like; wakeboarding, water skiing, tubing, wakesurfing, stand up paddle boarding, air chair and more! The lake is mostly undeveloped, although there are houses and a resort and marina (Mayfield Lake Resort) on the SW end of the lake. To the north is Ike Kinswa State Park, and to the east is a nice county park. Ike Kinswa has a small, 2 two lane ramp on the NE end of the lake and on the west side of the lake is a much better county ramp. One could spend days enjoying the various outdoor recreational opportunities on this lake. But a word of caution - during prime season the parks fill up fast, so advanced planning is needed especially on busy weekends and holidays. Our watercraft services do require advance reservations.